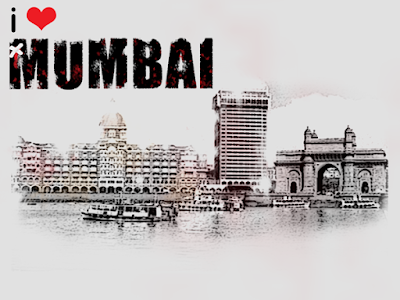 indiblogger Why Mumbai is the best city in India? Mumbai - they say that this is called as the city of dreams. Yes, how true is this! People migrate from small villages to this city in order to fulfill their dreams. This city welcomes them with open arms. That’s the best part of this place. It never says no, never! Mumbai is well connected from within and outside. Through a neat transport system, people can travel from one place to another through the local trains and the public buses. Also autos and taxis run from places to places that make things easier. So accessibility was never an issue. A good characteristic of a city is that it should be well connected and accessible. People here are quite helpful. If you are lost somewhere then they will guide you properly with the routes. The city is designed in such a way that it is geographically divided into different regions such as South Mumbai, North Mumbai, Suburbs, Navi Mumbai, and Thane and so on though Thane is a separate district on the outskirts of Mumbai. You can drive along the road and reach your office every day. Excluding some roads, most of the roads are neat and the traffic is less during the normal hours. Albeit the traffic is slightly on a higher scale when it comes to rush hours but there are very few who complain about it. With the induction of Metro railways, the connectivity between the Central and the Western line is now possible. The journey that normal takes around 1 hr and 15 minute is now wrapped up in around 15 minutes. So a lot of time is now saved with the arrival of Metro trains. The South of Mumbai is said to be bliss. Also known as the town side, this part of the city hosts several historical monuments and some amazing tourist destinations. It is clean and attracts lots of tourists from various countries. The Gateway of India which is listed on the World Heritage site is a famous monument where people visit. Whoever visits this wonderful city ensures that they visit the Gateway of India. Sometimes you might wonder why this part of this country is over populated. Yes, this particular city. It is because people see lots of job opportunities here that make them to travel here. It is a good market for investors and there are lots of IT companies here that give bread and butter to several Engineers. Such is the impact of this city on people. Aforementioned, the design of the city is incredible. It is connected via trains and buses. The Chatrapati Shivaji Airport is one of the busiest airports in the country. Thus because of all the factors mentioned above I would like to highlight that Mumbai is one of the best cities in India and the World. Mumbai is the best city and it grows on you. It's an addiction and you never feel alienated. Amchi Mumbai rocks. A world of limitless possibility.